Quack Off Week is Here! Due to our recent inclement weather Rural Water has postponed the repairs noted below. Once a new date is determined residents will be notified. shortage from continuing throughout winter and affecting patient care. patient needs as busy holiday schedules kept many donors away. below the ideal five-day supply needed to respond to emergencies and daily hospital needs. Blood products are currently being distributed to hospitals faster than donations are coming in. as throughout the year,” added Numark. appointment to give in the coming days to help restock the shelves for hospital patients. shortage from worsening this winter. uncollected blood and platelet donations as December 2017.
that no mother ever wants to hear: her son had cancer. remove the tumor near his kidney and spinal cord, stem cell transplants, and possibly radiation. We appreciate the financial support from all of you who have made donations to KCCB. 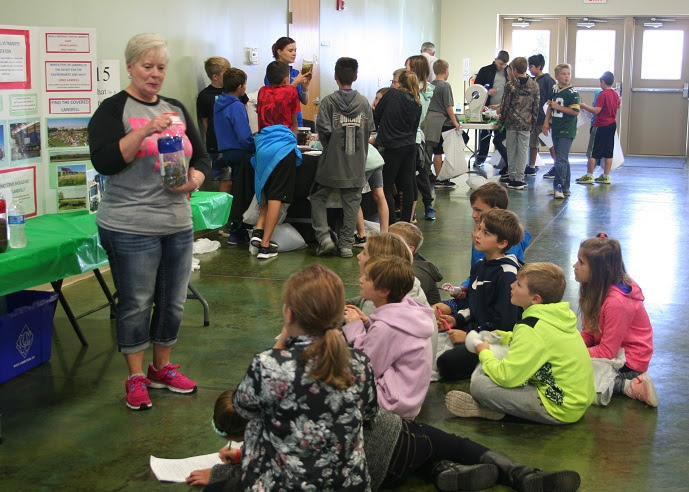 Every dollar donated helps maintain our programs here in Cass County, like our 5th Grade Youth Environmental Fair (show above). As funding from NDEQ has greatly decreased, we look to our local members and donors to help sustain our programs. Help make 2019 our biggest membership drive ever. Click on the "DONATE NOW" button or simply mail a check to us at 513 Vine St., Louisville, NE 68037. Your donation is tax deductible. The free classes on healthy pregnancy and newborn care are taught by experienced maternal and child health nurses. The program consists of six classes, and participants may attend any classes they choose. Topics include prenatal care and testing, pregnancy nutrition, stress, labor and delivery, newborn care and breastfeeding, and postpartum care. For class dates, times, and location, and to register, visit the Health Department’s event calendar at www.sarpycasshealthdepartment.org. For questions or more information, please contact the Maternal Child Health Nurses, Michelle atmleahy@sarpycasshealth.com or Katie at kgraves@sarpycasshealth.com. The Lower Platte South Natural Resources District will begin its annual bare-root tree seedling sales program (i.e. Conservation Forestry Program) starting November 1st. Anyone within the Lower Platte South NRD is welcome to purchase trees. These bare-root trees/shrubs are offered for less than $1 apiece. All species are sold in bundles of 25. There are over 40 different species available, with windbreak classics like Colorado Blue Spruce & Ponderosa Pine, to wildlife friendly shrubs like Chokecherry & American Plum and some forest giants like Bur Oak & Black Walnut. The NRD is also excited to offer some new species this year such as Bald Cypress, Sycamore and Redbud. Please visit www.lpsnrd.org/programs/trees for complete species list and ordering information. You can purchase them online or by mailing in the printable brochure. The NRD will take orders until March 22nd 2019 with trees expected to arrive by Arbor Day. Please visit www.lpsnrd.org for additional information. Need Help Understanding Nutrition Labels?